African MSA Pressure flaking on artifacts was invented several times beginning with pressure notching at Sibudu, > 77k.a. Replication experiments show that pressure flaking after heat treatment best explains the morphology of lithic artifacts recovered from the ca. 75 k.a. MSA levels assigned to the Stillbay technocomplex in South Africa. Pressure flaking was also notized at some Howisons Poort Sites. Application of this technique allowed for a high degree of control during the detachment of individual flakes, resulting in thinner, narrower, and sharper tips on bifacial points. This technique disappeared during the later MSA of S/E-Africa. During the LMG (ca. 20 k.a. cal. BP) in S/W-Europe, Pressure Flaking was widely used during the Solutrean, which is characterized by several forms of thin, leaf shaped points, shaped by distinctive flat, highly invasive unifacial and bifacial retouch. Heat treatment and pressure flaking were often, but not always combined in shaping these wonderful artifacts. 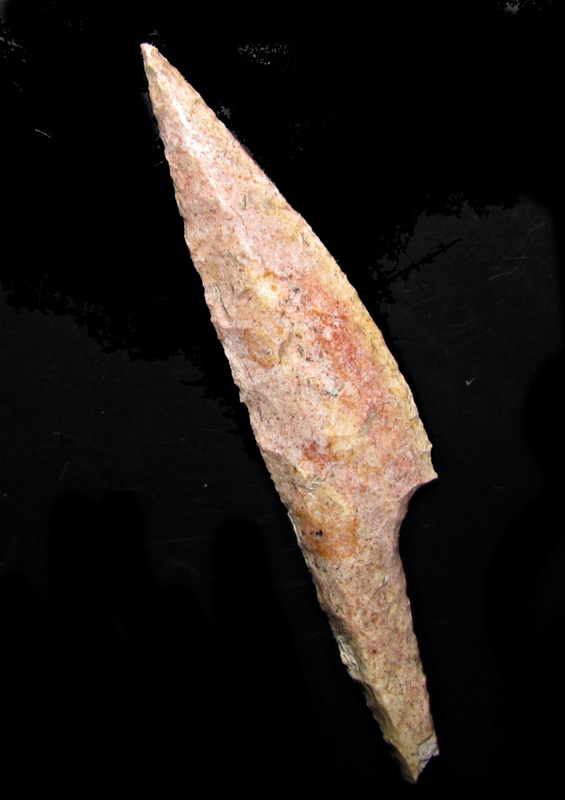 One example is displayed in Figure 1: a Solutrean shouldered point from Fourneau-du-Diable / Dordogne. 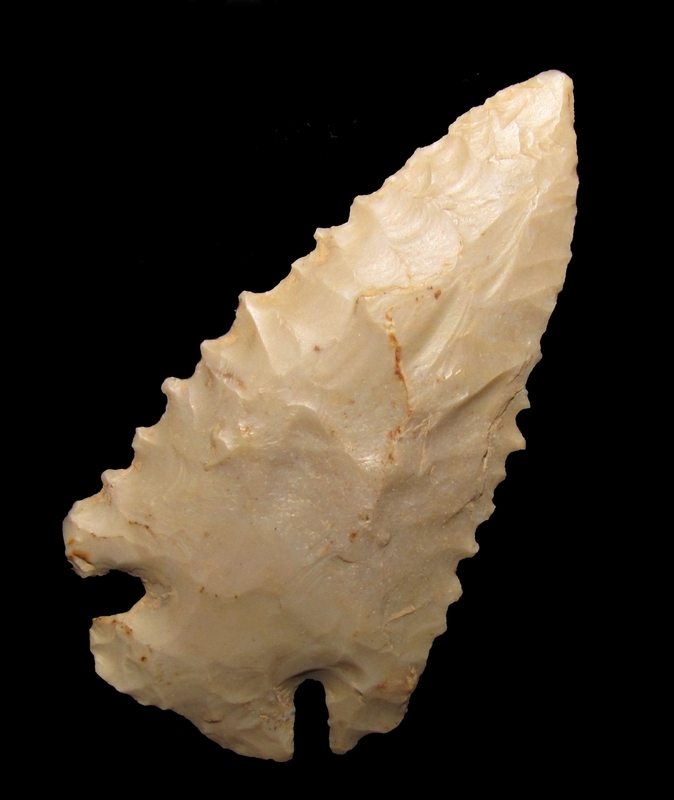 "The New World Paleolithic"The Paleolithic Clovis points of America was characterized by thin, fluted projectile points created using bifacial percussion flaking. To finish shaping and sharpening the points they are sometimes pressure flaked along the outer edges. Clovis-associated dates ranging from 11,3 to 10,7 k.a B,P which correspond to a short period from about 13,2 to 12,8 k.a. cal BP. The technique continued to be used during later times in the new world. Figure 2 showes a serrated Dove Tail Point from the Early Archaic exhibiting the continous use of pressure flaking and lateral pressure notching dating to the early Holocene. Levantine Neolithic In the old world, pressure flaking, and a new core technique, bipolar/naviform, developed into highly sophisticated and specialized techniques in the eastern Mediterranean. The naviform/ bipolar technique became the diagnostic marker (“fossil directeur”) of the PPNB period in the Levant /(8,2-6,2 cal. B.C). It spread as part of the cultural/techno-PPNB complex to other parts of the eastern Mediterranean Basin, as a result of colonization (Paraklessia Shillourokambos, Kissonerga Mylouthkia, Kalavasos Tenta, Cyprus) or “acculturation” (Çayönü, southeastern Anatolia). 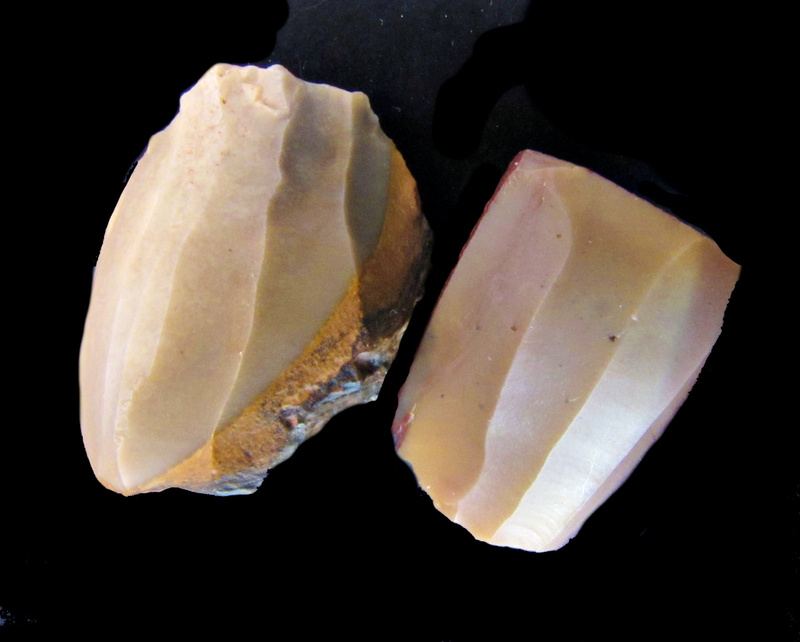 This technique was probably in the hands of groups with specialized knowledge, and it was always applied on good-quality flint (Figure 3). Predynastic Egypt Another example of a very advanced pressure technique are the high valued ripple flaked knives of the late Predynastic of Egypt. 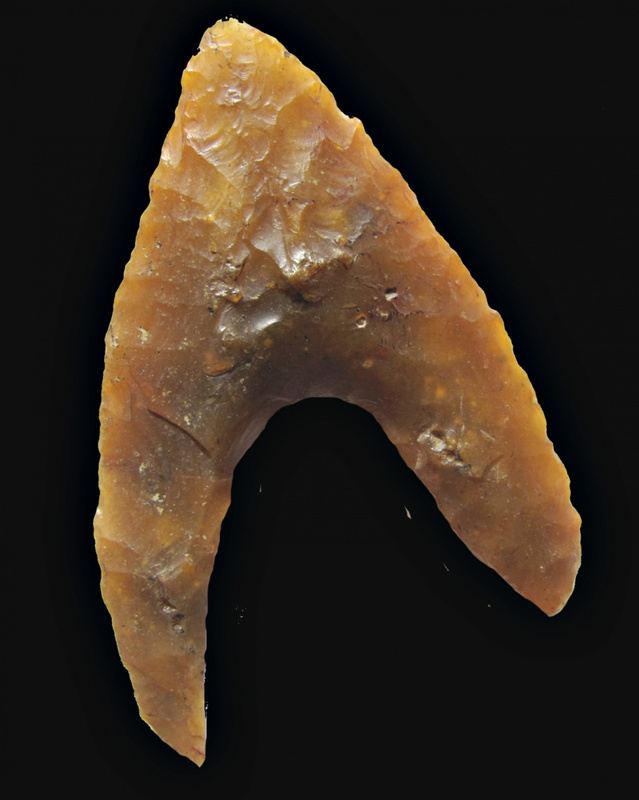 During the Fayum A-Neolithic bifacial projectile points, shaped by pressure flaking were common (Figure 4). Late Neolithic of N-Europe and the N-European Plain Pressure flaking played a great role during the late Neolithic of N/E-Europe. The famous Scandinavian Type Ic daggers, for example are characterized by elegant, well controlled parallel pressure-flaking on their broad faces, and can sometimes exceed 45 cm in length. They appeared in northern Europe by 2350 BC, similar in scale and outline to contemporaneous metal daggers imported from Central and Eastern Europe. The most appealing of these daggers is the type Ic flint dagger exhibiting edge-to-edge parallel pressure flaking. The precision pressure-flaked patterns displayed by type Ic flint daggers have no obvious technological purpose in terms of actually using a dagger for a cutting activity. It is far more likely that the value of the remarkable workmanship displayed by these daggers was ascribed to their role as symbols of value, wealth, or both. In Northern Asia, the earliest appearance of the pressure technique, used not for retouching tools but for producing blanks of tools, has been associated with the origin and spread of microblade technology. Microblade production is intimately bound with the pressure technique, although microblades can be produced and were produced by very different chaine opératoires, not necessarily including pressure. Microblade technology was focused on the mass production of standardized tiny blades from characteristic wedge-shaped cores. Such blades were no more than 4 mm wide with unusually sharp edges. They were fixed into grooves along one or both edges of a sharpened bone or antler point. Microblade technology is an extremely efficient use of high-quality stone. It generates the maximum amount of usable edge while minimizing the quantity of stone that must be gathered and carried around. It is not exactly known, where the idea of producing regular microblades by pressure-flaking came from. Was there only one or multiple origins? Were there only one invention or multiple inventions? Some researchers trace the beginnings of the microblade technique to southern Siberia, northern China, Mongolia or the Far East at 35 k.a. B.P. But these assemblages are usually not manufactured by pressure flaking. Maybe we should call this Phenomenon: microblade technique sensu lato. Others insist that the emergence of the microblade technique sensu strictu occurred later, around 20k.a. B.P. in the Far East and was always connected with pressure debitage and the Yubetsu core type (and later derivate of this core type). The Yubetsu method involves preparing mainly bifacial or boat-shaped core blanks with symmetrical cross sections and forming platforms by removing spalls from the lateral edge of a blank. The earliest example of microblade technology sensu lato at Tolbor-15 in the Khangai Mountains of northern Mongolia was identified in Horizon 5 (single date 28,5 k.a. BP) , a boat-shaped micro core fashioned on a trihedral blank. All microcores except this one were produced by percussion, and the percentage of microblades in the horizon overall is very low. Horizons 3 and 4 (14,-15 k.a. BP.) at Tolbor-15, contain several, well established types of microcores; those produced on thin flakes with retouched bases and a narrow blade-removal surface and a second type made on bifacial preforms, with platforms prepared by the sequential removal of ski spalls. In the southern Trans Baikal area microblade production is proposed for the site Studenoye 2 and Ust’Menza 2 was dated to 17 k.a. BP. In Siberia the production of regular microblades and the use of pressure technology were identified on Upper Palaeolithic sites dated after the Last Glacial maximum and already before start of Greenland Interstadial 1. Both microblade technology and the pressure technique sensu stricto appear in Hokkaido / Japan suddenly around 20 k.a B.P. and without local precedent. It is interesting to note that the appearance of microblade technology and the pressure technique in Hokkaido roughly corresponds to the beginning of the severe cold and dry conditions in the LGM. Pressure debitage seems to be rare and isolated in Pleolithic Central and South Europe before the Mesolithic. An exception is the Magdalenian site of the "Rocher-de-la-Caille" which is located in the high valley of the river Loire, and part of the sites, that were flooded to make way for the Villerest dam. 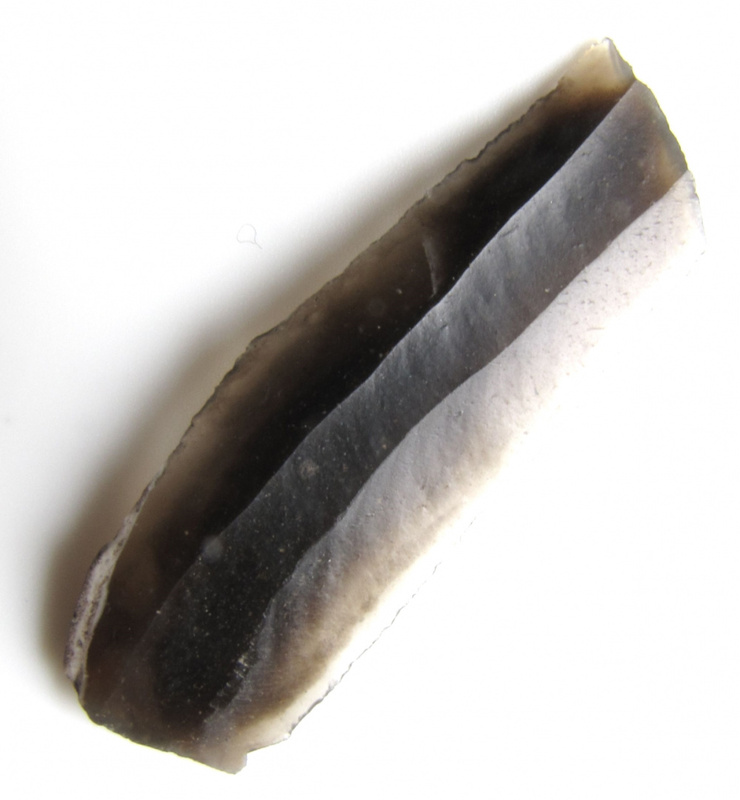 Pressure debitage was clearly used in the production of certain bladelets preferabily on transluscent blond flint blade blanks imported from the Cher valley. Anyhow, its specic technique at the type-side, that is pressure, seems to have had only limited success at the time. The Capsian is an Epipaleolithic technocomplex of the Maghreb (Tunisia and Algeria) and begins during the arid younger Dryas. The Capsian is traditionally divided into two horizons, the typical Capsian and the upper Capsian which are sometimes found in chronostratigraphic sequence. Some authors suggest that a time overlap of these entities may also be possible. The typical Capsian is characterized by a significant blade based component like burins (ca. 25%), endscrapers (ca. 20%), and large backed tools). Backed bladelets are present in quantities of about 10-20%. Geometric microliths comprise about 10% of the outillage. The Upper Capsian is characterized by abundant and varied geometric microliths and numerous forms of backed bladelets. Burins are fewer than during the typical Caspian, but there is much regional variability. Amongst the main distinctions between the Typical and the Upper Capsian, the later variant, is the greater abundance of geometric microliths and the existence of bladelets produced by pressure flaking performed at mitric cores (Figure 6). Palaeoenvironmental changes centered on the 8,200 calBP event have recently correlated with changes in subsistence and technology traditionally associated with the difference between Typical Capsian and Upper Capsian (Figure 5: Blade Cores from the late Capsian). Obsidian is a naturally formed volcanic glass that was an important part of the material culture of Pre-Columbian Mesoamerica. Obsidian was a highly integrated part of daily and ritual life, and its widespread and varied use may be a significant contributor to Mesoamerica's lack of metallurgy. Lithic and contextual analysis of obsidian, including source studies, are important components of archaeological studies of past Mesoamerican cultures and inform scholars on economy, technological organization, long-distance trade, ritual organization, and socio-cultural structure. 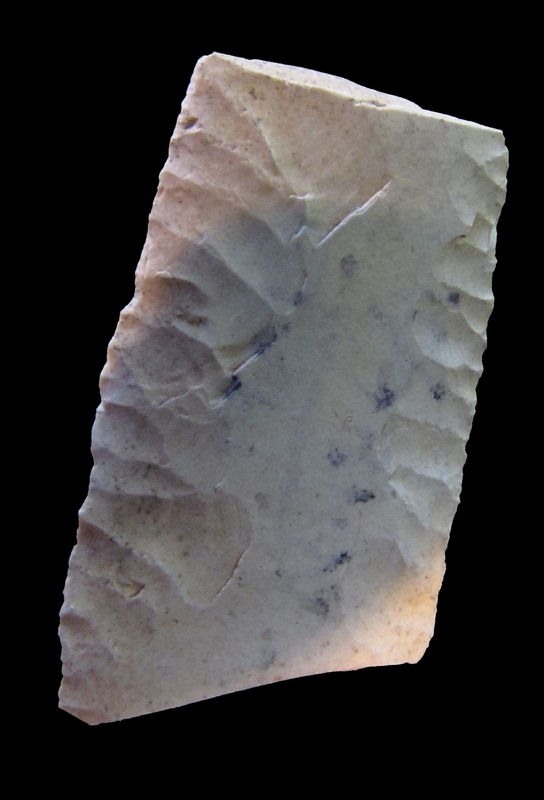 Following the removal of cortex (when applicable), bifacial, unifacial, and expedient flake stone tools could be produced through lithic reduction. Prismatic blade production (Figure 6), a technique employing a pressure flaking-like technique that removed blades from a polyhedral core, was ubiquitous throughout Mesoamerica. 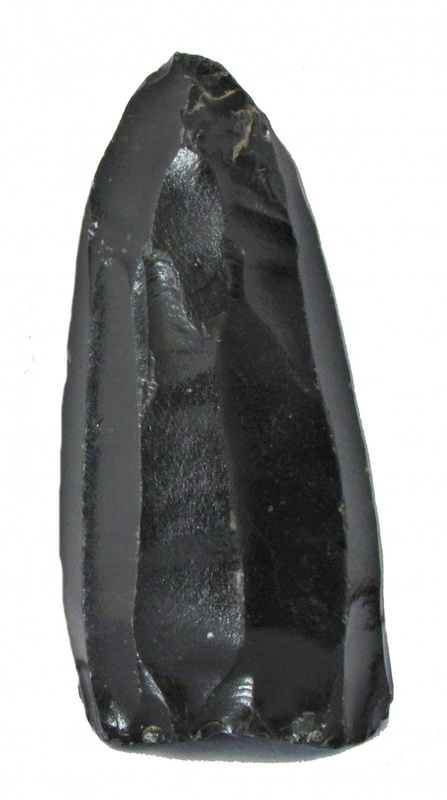 Modern attempts to redesign production techniques are heavily based on Spanish records and accounts of witnessed obsidian knapping.